Charming Blonde Girl In Romantic White Dress And Sunglasses Over Vivid Background. Royalty Free Fotografie A Reklamní Fotografie. Image 21269783. 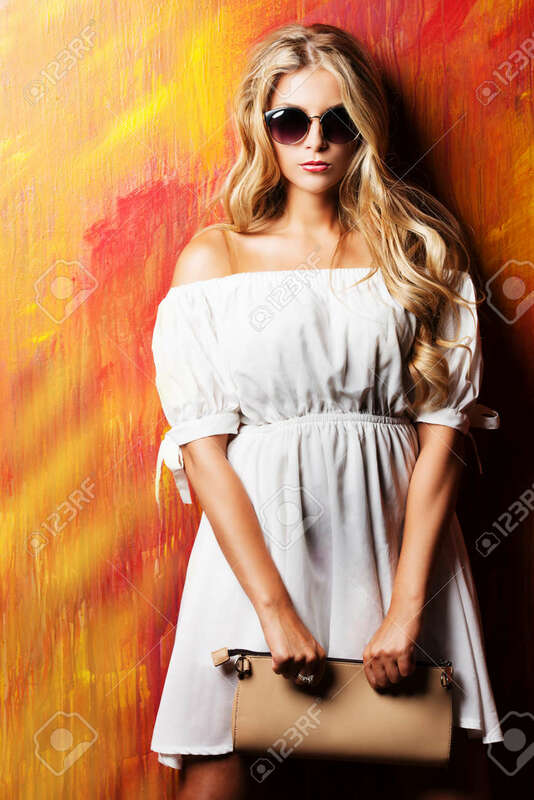 Reklamní fotografie - Charming blonde girl in romantic white dress and sunglasses over vivid background. Charming blonde girl in romantic white dress and sunglasses over vivid background.